“Warren Buffett has two rules. This book was really a nice read as I am interested in economics and finance. But I am still at learning and amateur stage. So this book may help you to pick a direction. The author has discussed every tricky term in the area of investments and savings in such a simple and interesting language taking examples from everyday life. If you are a student planning to take a course in economics or finance, if you are a beginner and want to save some money now and get bigger benefits in future then this book is the perfect beginning for you. You will never drop this book once you get a clear idea about inflation and deflation in very first chapter. 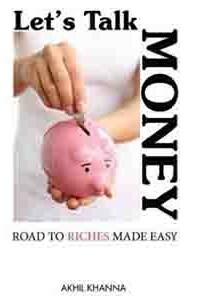 The author started with introduction to some tricky but basic terms related to our income, property, stocks etc. Then he further described about economics environment on global level, risks to investments and various types of insurance. Author did not forget to brief about the world financial crisis happened in 2008. You can also use this book as your investment guide. There is no need to read the book in sequence. If you want to know about car loans then read the specific part and you will be happy to get your doubts cleared. My father is a banker and he also found the book very useful and apt for the common people with minimum knowledge of correct investments. One quote which caught my attention and I have it on my tongue: “It is not important what one earns; true wealth is what one manages to keep”. As I mentioned before, you will never find a book with such a simple language to understand some basic terms in economics and finance. People generally consult their financial advisors when their CA tells them to make some investments to save the tax. But it is better to know about what you are investing in. Talking about the language used by the author, I can say only one thing that beginners who are learning English starts with Hindustan Times before turning to Indian Express or The Hindu. It is the same situation here. If you want to get excelled, it is a perfect beginning. And you are just looking for investments then just have it as your guide.